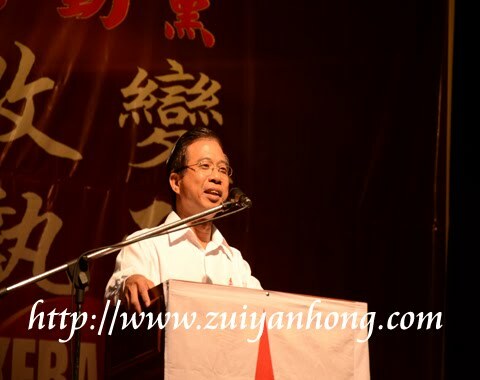 Malacca DAP 44th Anniversary Dinner was held on December 16 at Pay Fong School Hall, Malacca. 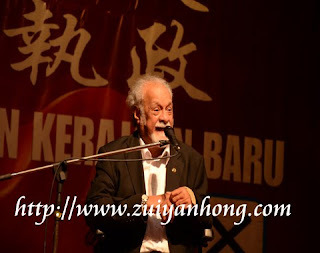 MP of Bukit Gelugor and DAP national chairman Karpal Singh was one of the honored speakers. In his speech, he mentioned that he had been to Malacca in the 1980s. His visit was connecting with the Bukit Cina issue at that time. Karpal Singh also shared his humor with Malacca DAP supporters. He revealed that he had advised Anwar Ibrahim not to accept Zaid Ibrahim as member of PKR. 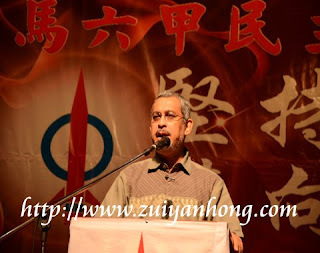 Anwar Ibrahim didn't listen to him and it ended up Zaid Ibrahim was a political hopper. 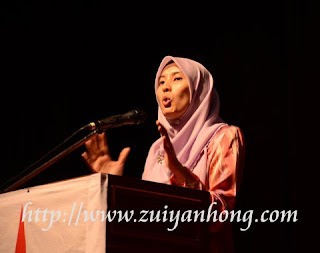 The newly elected vice president of PKR and MP of Lembah Pantai Nurul Izzah criticized BN government as a "hu li hu tu" government. Actually "hu li hu tu" is a Chinese phrase which means "silly" or "muddle". It can also translated as "useless" or "good for nothing". MP of Shah Alam from PAS Khalid Samad threw out a question if the audiences are boring to his speech. He said so because the Speaker of Dewan Rakyat Pandikar Amin Mulia always orders him to stop his inquiry. This indicates that Khalid Samad never slept at Dewan Rakyat. Another DAP leader who had delivered speech was Wong Ho Leng. He is MP of Sibu and chairman of Sarawak DAP. Wong Ho Leng was proud of his victory for the Sibu by-election on May 16 this year. Sibu voters rejected BN although Prime Minister of Malaysia promised to sign a cheque of 5 million to resolve flood problem in Rejang Park if BN won. Will PKR take over Putrajaya? Well, it's truly an interesting question. All Malaysian can't wait to know the outcome and look forward for the coming 13th general election.